BDCOM P3310 complies with IEEE802.3ah and P.R.C intercommunication standard, YD/T 1475-2006, supports CTC20/2.1, automatically discovers and cooperates with ONUs of different manufacturers. 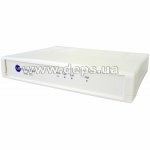 Supports the symmetric uplink/downlink 1.25 Gbps PON transmission rate, effi cient bandwidth usage and Ethernet services, helping carriers to provide reliable services to their users. Coupling ratio 1:64, also supports QoS, SLA, DBA. EPON: P3310 supports IEEE802.3ah and PRC Community Industry Standard (YD/T 1475-2006). System’s capacity: The modularized PON card of BDCOM P3310 can support one to four EPON systems simultaneously, up to 256 ONUs and the 1/64 coupling ratio. 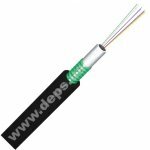 Protecting the bus optical fiber: the link can be automatically switched when trouble occurs optical fiber. The Dynamic Bandwidth Allocation (DBA) mechanism enables all users to share the 1 Gbps bandwidth reasonably, guaranteeing a reliable QoS. The Rapid Spanning Tree Protocol (RSTP) enables the redundant interconnection between OLT and backbone network. EAPS realizes highly reliable 50ms ring protection. It has rich OAM functions such as confi guration, alarm, performance monitoring, trouble isolation and security management. At the same time, it supports the CLI/GUI management, which is easy to use.